Too many affiliate marketers enter this industry hoping for a fast way to make money online – and that’s why they get sucked into those get rich quick schemes so often. You have to work hard to build a long sustaining online business. 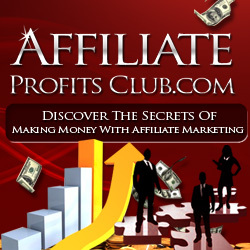 It’s a mistake to think that just because the products are already ready for you, that you won’t have to do much work with affiliate marketing to make a steady income, because it takes a lot of work. There are two parts to a sales funnel: a good product and a marketing plan leading up to it. With affiliate marketing, you don’t have to create a product – it’s done for you, along with the sales copy – you just have to find it. But you have tons of traffic and list building tasks to do. Become a student of your niche. Spy on them in the forums. Pay attention to their burning questions – especially the ones that keep cropping up. Join those forums and contribute good, solid advice. Get a reputation as someone who is an authority but is generous at the same time. Then you can point consumers to your squeeze page or a blog, where you discuss the subject at hand in depth. Of course, you offer the affiliate product there, too. But you give tons of value in exchange for that traffic. Gone are the days of pulling the wool over the consumers’ eyes, at least those who have been around the ‘net for any length of time. The real secret of how to make money fast is to devote yourself to your future as well as current, loyal customers.